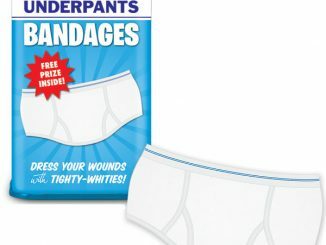 If you’re looking for a bandage that will help take your mind off a little wound, nothing helps you forget your troubles as easy as a warm, buttery piece of toast. 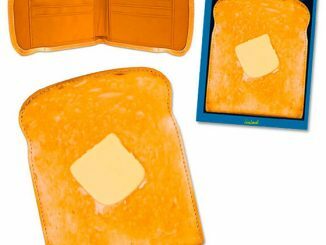 No, you can’t eat this toast; but the Toast Bandages will cover your small wounds while warming your heart. 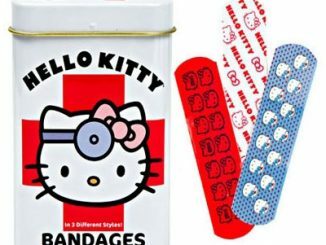 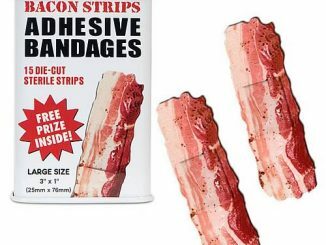 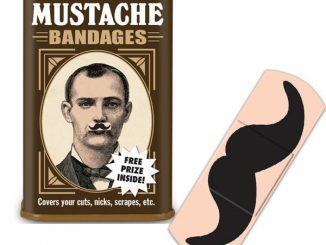 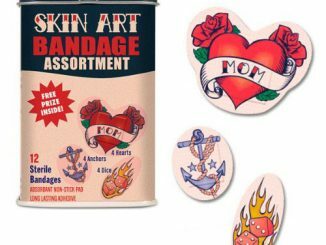 Each tin comes with 15 sterile bandages that measure 2″ x 2″ and includes a little free gift…Add the Bacon Bandages to help create the perfect breakfast Band-Aid kit. 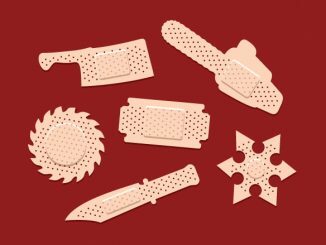 Toast is much more than just a side order. 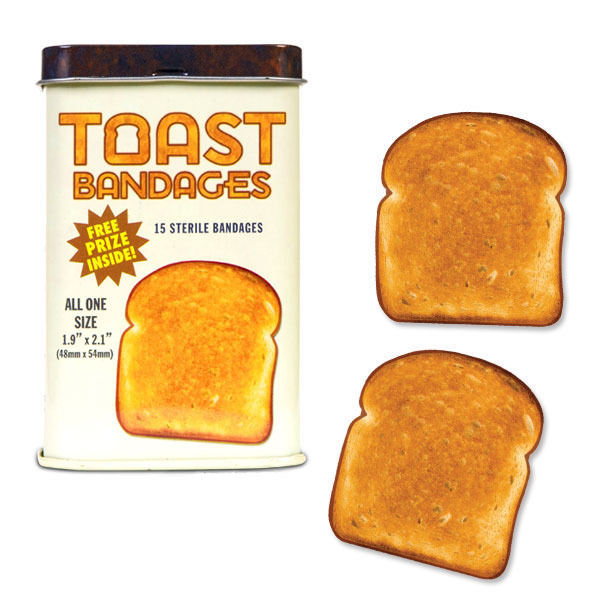 Put one of these Toast Bandages on any minor wound to experience for yourself the incredible healing power of toast! 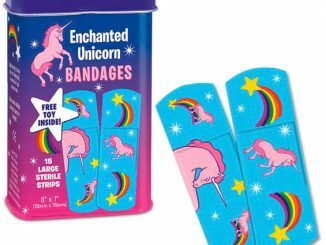 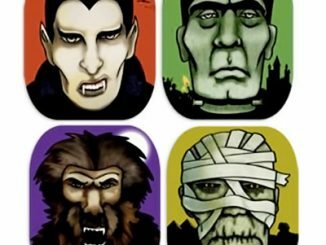 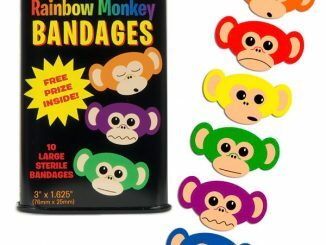 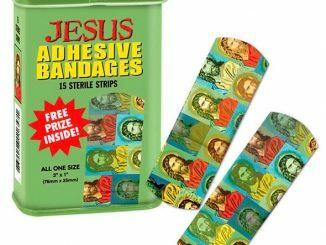 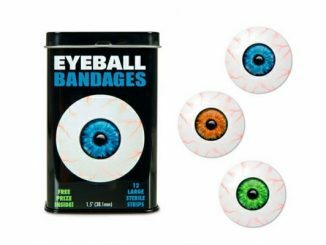 Each 3-3/4″ tall metal tin contains fifteen 1-7/8″ x 2-1/8″ latex-free adhesive bandages with sterile gauze and a FREE PRIZE to take your mind off of the excruciating pain.